Are you looking for the central government jobs in the Army? Indian Army Shimla Recruitment 2019 has announced the vacancies in various postings. The vacancies are available in Soldier general duty, Soldier clerk/storekeeper, Indian Gorkhas, Tribals of recognized tribal areas. The vacancy count has been not mentioned on the official website. Unmarried candidates are only able to apply for this Indian Army Shimla Soldier General Duty Recruitment 2019. If you are interested to apply these postings just go through the eligibility criteria mentioned in the official website. Your age limit should be perfectly suitable for the needed post. The candidates should also be eligible with the height, weight and chest size as mentioned below. If you are qualified with the given information, you have to apply from April 4, 2019. You can download your admit cards from May 18, 2019. If any candidates can wrongly fill in their application form means, need to inform to the Army recruiting office. The candidate should be filling their application form as per the original certificates. The selection process, eligibility criteria, applying methods has been clearly explained in this page briefly. The official notifications are also provided for knowing some other information. Job Role: Soldier General Duty (Sol GD), Soldier Clerk/StoreKeeper Technical, Indian Gorkhas and tribals of recognized tribal areas. Soldier general duty 1. The candidates are matric means, must have 45% in all main subjects and 33% in the remaining subjects. 2. If the candidates have the grading system in 10th, they must have a minimum of a D grade in each subject. Soldier clerk/storekeeper 1. The candidates must have 50% in each subject and 60% marks in all the main subjects. 2. If the candidates studied Eng/accts/maths/bookkeeping in the 12th stand, they must have 50% in each subject. Step 1: if you are interested to apply for an Indian Army Recruitment Rally 2019, you have to refer the official website. 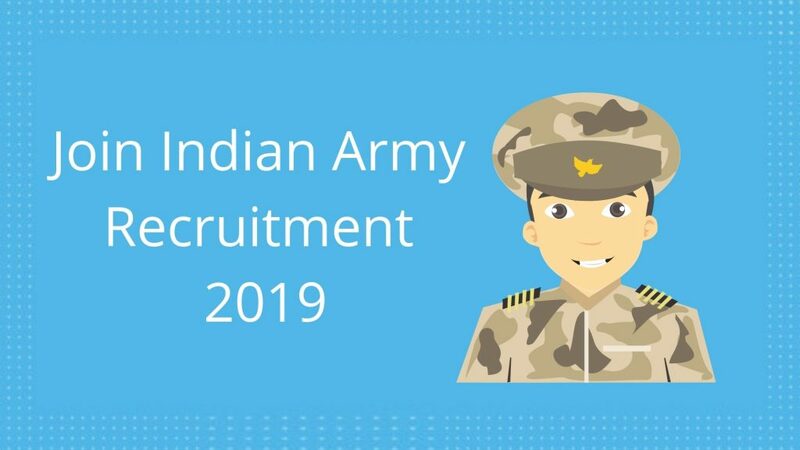 Step 2: you have to visit the website and click on the Indian Army Shimla recruitment 2019. The recruitment details are clearly mentioned on this website. You have to read the eligibility criteria and qualifications before going to apply. Step 3: if you are perfectly qualified for this posting, you have to move on to the next level. Because, your educational qualification and age limit should be perfectly suitable for this job, otherwise you are going to eliminate in the medical examination. Step 4: while applying in the application form, the details should be filled as per the original documents. Finally, you have to submit your form on or before May 18, 2019.